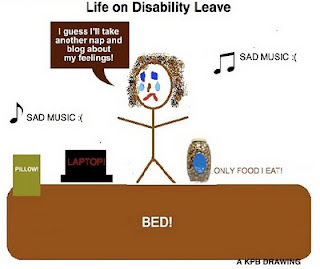 This, ladies and gentlemen, is Kelly Bergin on disability leave. Not sleeping. Watching 50 hours of Six Feet Under in one week. Eating only sourdough pretzels and Gatorade. Listening to all the songs listed on Entertainment Weekly's 50 Most Depressing Songs. Developing a harrowing addiction to Xanax. Rereading Babysitter Club books to remind you of a simpler time. Being forced to shower by Mother. Can you tell I majored in English? Ha, looks about right. Where's the iPhone? Biz, I actually just dyed the roots so we are now back to one color! Woo.